If you thought that German food was only about robust sausages, slabs of hearty meatloaf and bulky pretzels washed down Oktoberfest-style with enormous tankards of beer, well, think again! 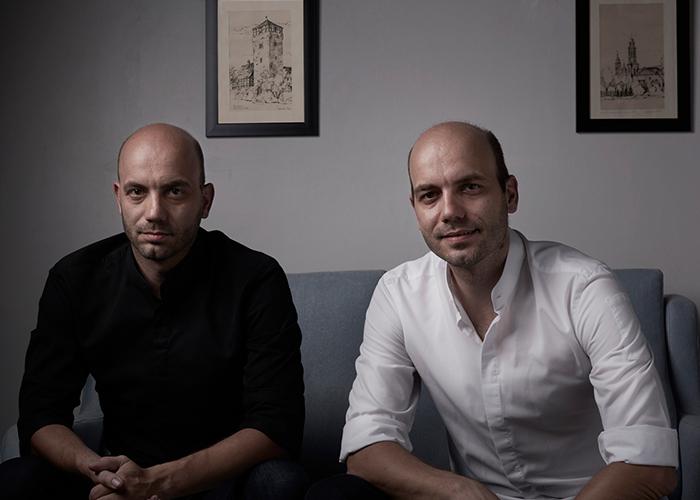 Twin chefs, Mathias and Thomas Suhring, ranked Asia’s 13th best by San Pellegrino on the prestigious Asia’s 50 Best List for 2017, for their eponymous Bangkok eatery, and currently in India for a pop-up courtesy of the Taj Mahal Palace Mumbai and Sanguine, prove that modern German cuisine can, in fact, be delicate and fine. The look-alike chefs are full of energy and excitement at the very exclusive Chambers dining room. You may tell them apart by their shirts – one wears white, the other black – but by all accounts they could switch these midway through the meal just to confuse and add a spot of fun! They are, of course, extremely serious about their cuisine which accounts for their current fame in the world of contemporary food. We are being treated to a specially curated, 12-course menu this evening as a precursor to the pop up which includes an even larger menu. 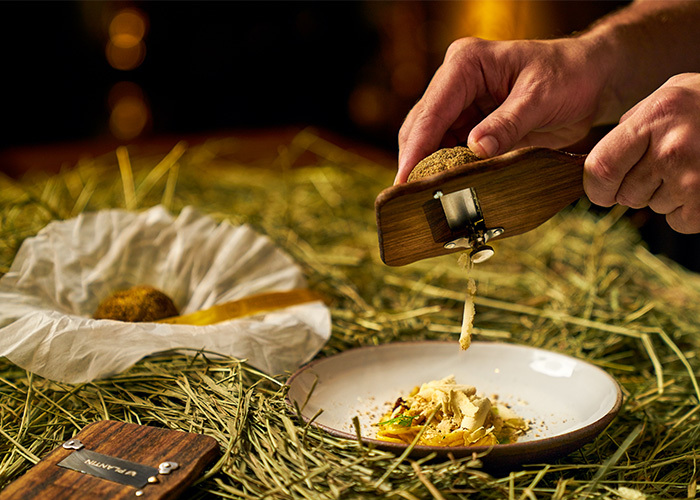 The brothers serve several of their creations themselves and explain the dishes that have been inspired by recipe books inherited from their mother and grandmother — traditional family recipes elevated to the level of haute cuisine. This meal is a real treat. Several of the ingredients have been brought down by the chefs. We start with some soft pretzels with obatzda, a cheesy dip that immediately awakens the taste-buds. This is accompanied by miniature-size beer mugs. Two bite-sized starters, eisbeinsuize and zwiebelkuchen star ham shoulder and mushrooms make for intensive flavours. In small paper boxes announcing ‘Curry 36’ arrives our next dish inspired by the street food of Berlin where the chefs originally hail from. Delicately sliced pieces of German sausage are covered with a gentle curry sauce accompanied by potato crisps (a little like papads). We pick on this with a miniature, two-pronged, wooden fork, adding to our happiness quotient. Next up is served, to my mind, the finest of the starters – a bite of liver pate on some fried bread. Delicious, smooth, a burst of flavour. The disc-shaped toast is served on the rim of a glass of white wine. Sip and crunch! German sour dough breads, flavoured butter and dips, some air-dried ham and delicate slivers of cold fish paired with pickled cucumber, make for a great sharing platter or brotzeit. This bodes well for the mains that are now set to arrive. A pretty-as-a-garden dish of pink and tender salmon surrounded by dot-like creations of parsley, potato and caviar. The table is silent as everyone is busy wolfing down the fresh and varied dishes. The amazing thing is that these just keep getting better and more intense as the meal proceeds. A signature dish is now to be served but before that the twins walk out with two bowls full of fresh winter truffles from Australia. I certainly have never seen so many before. Spatzle, soft egg noodles, doused in Allgauer mountain cheese and covered, amazingly, with the dark rounds of truffle slices make for an amazing treat. The silence around the table deepens. 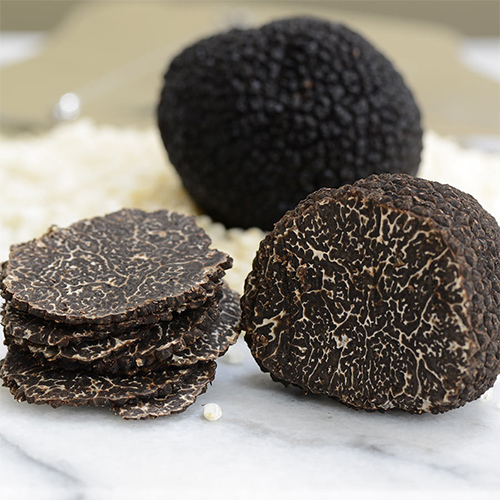 The aroma of the truffles fills our nostrils with joy. Fittingly, the dessert is a frothy concoction of buttermilk, cucumber and gin. The vegetarian diner next to me is just as thrilled with the artistic presentations before her. Mushrooms, asparagus and other delicacies add umami flavours that are as good as the meaty ones. A lot of thought and care has obviously gone into these and the vegetarians comment that, for a change, they do not feel cheated. Excerpt from our conversation with Chefs Mathias and Thomas Suhring…. We have known Chef Gaggan (Anand), who is not only our partner but a dear friend. Our connection with both Gaggan and Raaj Sanghvi, CEO of Sanguine, goes back many years and they have been instrumental in introducing the Indian markets to us. We are very happy that they have made it possible to arrange a partnership with the iconic Taj Mahal Palace in Mumbai, where we will be presenting new German cuisine from the 13th to 17th September 2017. What twist have you added to German cuisine to make it your own? We have been in this profession for about 20 years, but somehow, we have never cooked the food we grew up with. With our first restaurant, we felt, more than ever, that we wanted to present who we are and where we come from. 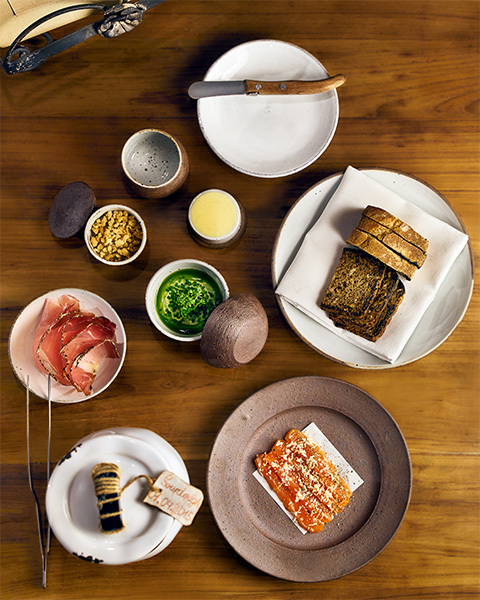 German food has never been brought to a contemporary stage and that is what we are doing at Suhring. We want to showcase the very best of modern German fare inspired by our childhood memories, family recipes and years of travelling experience where we combine the essence of traditional dishes with contemporary Central European influences, all elevated to the level of haute cuisine. The vegetarian menu was very inspiring. Did you have to work on these for this pop up or is this standard fare? Over the past years, both Germany and Europe have witnessed an awareness in vegetarian cuisine. We have been experimenting with a vegetarian menu at Sühring since the opening of the restaurant in 2016. It has been a great pleasure for us to showcase our vegetarian inspired menu to the audience here in Mumbai. The connection to our own heritage and our childhood memories have been the biggest inspiration for Sühring. Showing that German food can be something very exciting and enjoyable is the result of this. How close are the meals that you are serving in India, to your restaurant in Bangkok? We have never been to India before and were prepared to be introduced to everything new. We have brought with us a team of four chefs and two service managers with whom we will be recreating the Sühring experience, as close as it can get here in Mumbai. Any plans to set up in India? We are very happy to have made our way to India. It has been an amazing journey for the team and us so far. We really hope that we bring something unique to India and are keeping our fingers crossed that Suhring will be received well. Raaj has already told us of many offers from India, so we will return in the near future to explore more and more of incredible India.